Soon after that incident, Roland encountered three mysterious doors near the beach. Each of the three doors provided him with a “Being John Malkovich”-like window into the bodies of three people living at various later-20th century times in our world’s New York City. By entering a given door, Roland was able to see through those people’s eyes and he even had some control over their actions. First encountered was Eddie Dean, a drug smuggler/junkie from the 1980s. Eddie was smuggling drugs on a plane flight to New York City and Roland was able to help Eddie avoid arrest. The means of that help was mind-bending in that Roland somehow brought Eddie through Eddie’s door and into his world, where the pair left Eddie’s drug stash before returning to Eddie’s world. Eddie’s smuggling operation was being done on behalf of the drug lord Enrico Balazar. Balazar had coerced Eddie by holding his brother Henry hostage but the drug-addicted Henry died in an overdose and, with Roland’s guidance, Eddie shot up Balazar’s hangout. Eddie had little to live for in his own world and he decided to stay in Roland’s world. With the help of antibiotics from Eddie’s world, Roland was able to begin recovering from the lobstrosity-inflicted injuries. The next door that Roland investigated took him into the life of Odetta Holmes, a wealthy but legless black woman from the 1960s who happened to have a multiple personality disorder. Odetta’s alternate personality was a foul-mouthed and angry woman named Detta Walker. Odetta did not come with Roland through the door as easily as Eddie did and he ended up kidnapping her from her world. Complicating matters, Roland’s injury infection grew worse and he needed further medicine. The third door led Roland into the life of a sadistic man named Jack Mort. Mort had been responsible for a head injury that had triggered the creation of Detta in Odetta’s mind. He had also pushed her in front of a subway, resulting in the loss of her legs. Finally, Mort was the person who had pushed Jake Chambers in front of a moving car, resulting in his death. Roland as Mort prevented Jake from being killed and then used Mort’s body to acquire medicine. As a final act, Roland had Mort kill himself by jumping in front of a moving subway train. While investigating the third door, Roland left Odetta with a gun but her Detta personality used that weapon to hold Eddie as a hostage so that she could demand being returned to her own world. Roland was able to have Detta witness the death of Mort and that event triggered Odetta/Detta to reconcile into a new personality known as Susannah. This book ended with Roland having recovered from his injuries and the party of three moving on within Roland’s world. By this point, Eddie and Susannah had developed a budding romance. “The Drawing of Three” would be a prime example of just why “The Dark Tower” books as literal film adaptations would be so hard to produce amid modern Hollywood expectations. Most significant in this book was its central plot gimmick using the same sort of body-control device that “Being John Malkovich” would later use. In this case, the controller was Roland. If the first “Dark Tower” book was about establishing the character of Roland, then the second book focused on his gathering a couple of party members. It was becoming clearer as to how this series could evolve into being Stephen King’s version of “Lord of the Rings,” with modern day and western elements thrown in too. While the 400-page story could probably have been 300 pages of material with a good editor, the book’s new characters grew on me since they were quite diverse in contrast to the stoic Roland. 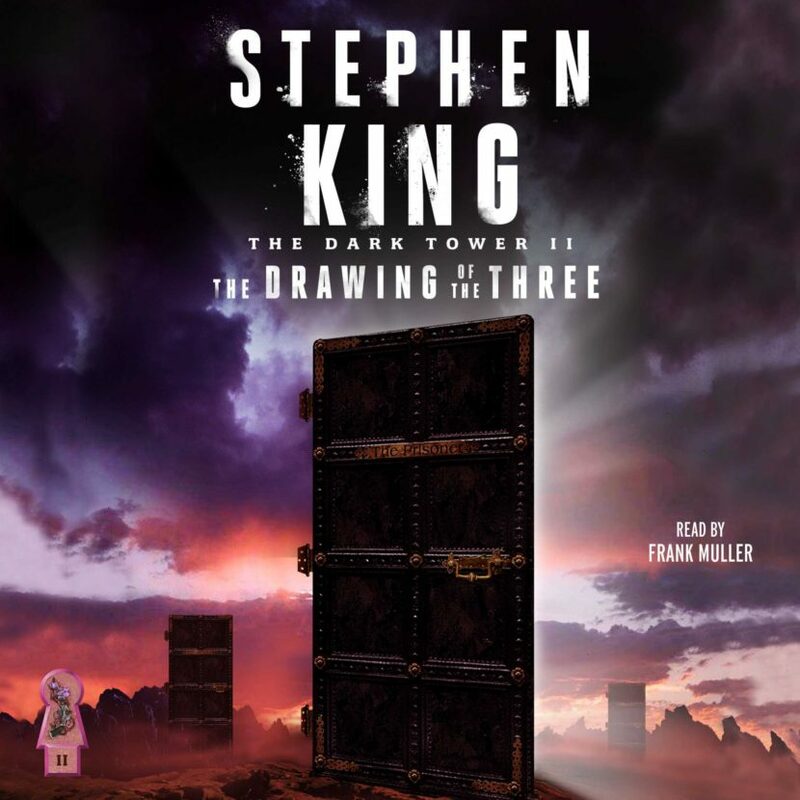 “The Drawing of Three” was much more cohesive than the first “Dark Tower” book, surely owing to the fact that it was not rooted in several short stories. The setup for the next book was interesting enough that most readers would want to continue to learn what happened next.